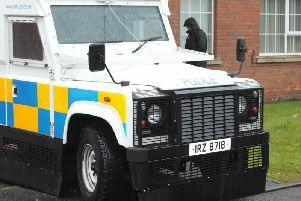 A further three men have been arrested by police investigating a disturbance that took place after a funeral in the Lurgan area yesterday afternoon. The suspects - aged 20, 37 and 42 - were detained in connection with the disturbance at the graveyard. A 23-year-old man arrested in the wake of the incident at St Colman's cemetery on Monday afternoon has been released on bail pending further inquiries. He had been held on suspicion of grievous bodily harm with intent and possession of an offensive weapon in a public place. Police have branded the violence "senseless" and "deeply upsetting" for the grieving family. Police Service of Northern Ireland Chief Inspector Bernard O'Connor said: "Police had worked closely with the bereaved family involved to ensure that the funeral service and interment passed off without incident. "The disturbance that followed the burial was senseless and put the safety of all the mourners at risk. It was also deeply upsetting for the grieving family. Police acted swiftly to keep people safe and take those involved off the street."